Courtesy of Compass, Ruth Broom. 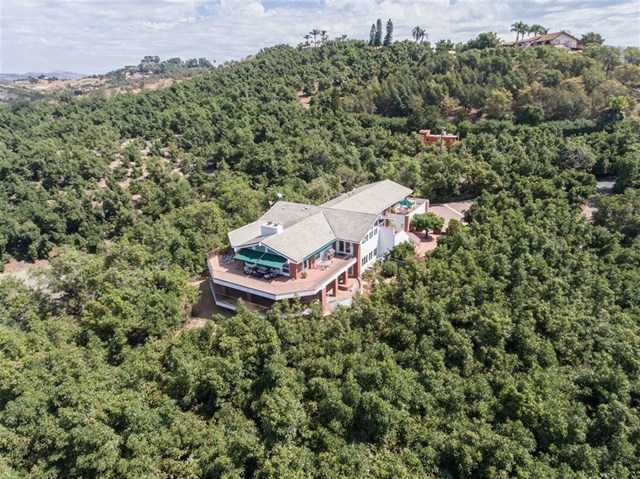 Exceptional opportunity to own a pristine, private, 43-Acre AVOCADO RANCH and Estate with sweeping valley views. Ranch includes 3 legal parcels and are in excellent shape with approx. 4,300 Haas avocados trees, a WELL that waters the entire property, paved roads, year-round stream, charming brick patios & completely fenced. This gated estate features a beautifully appointment and remodeled custom home with walls of windows that capture great views, & custom detailing throughout.Aerial tour is second tour.